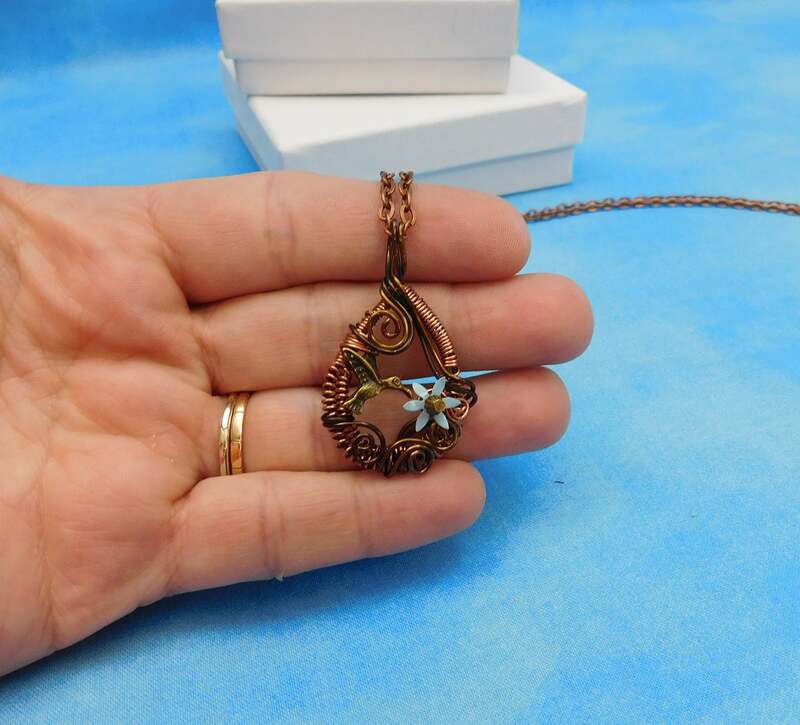 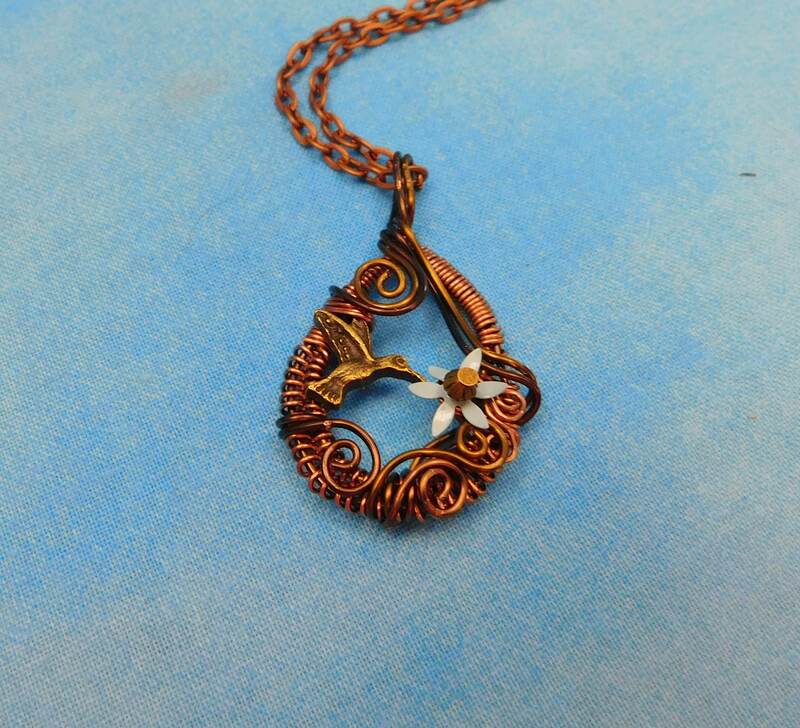 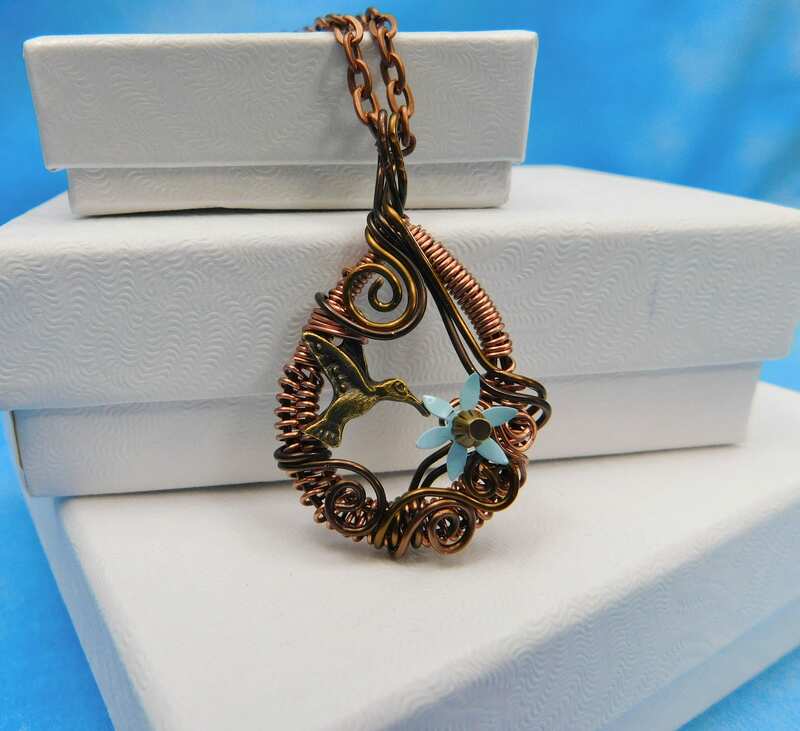 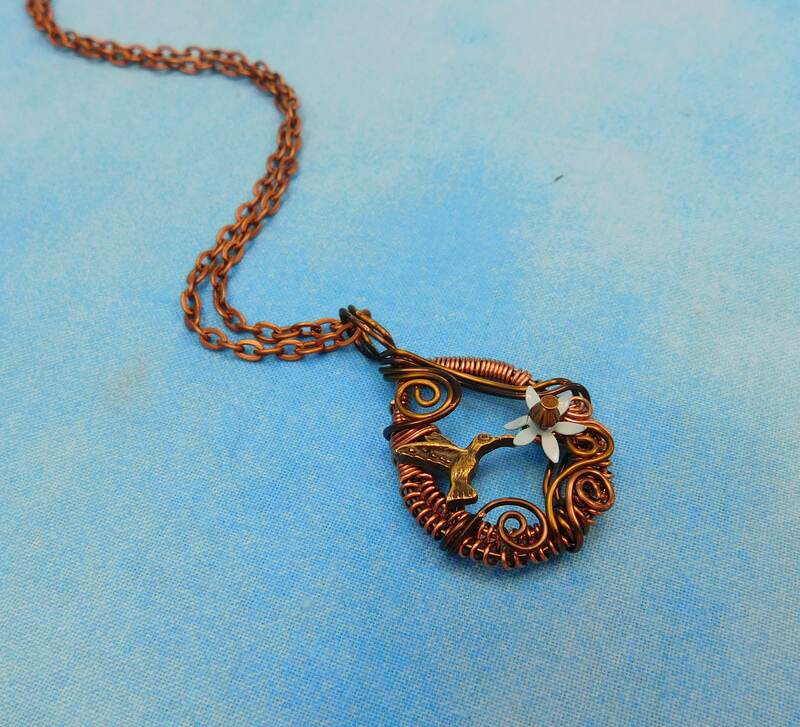 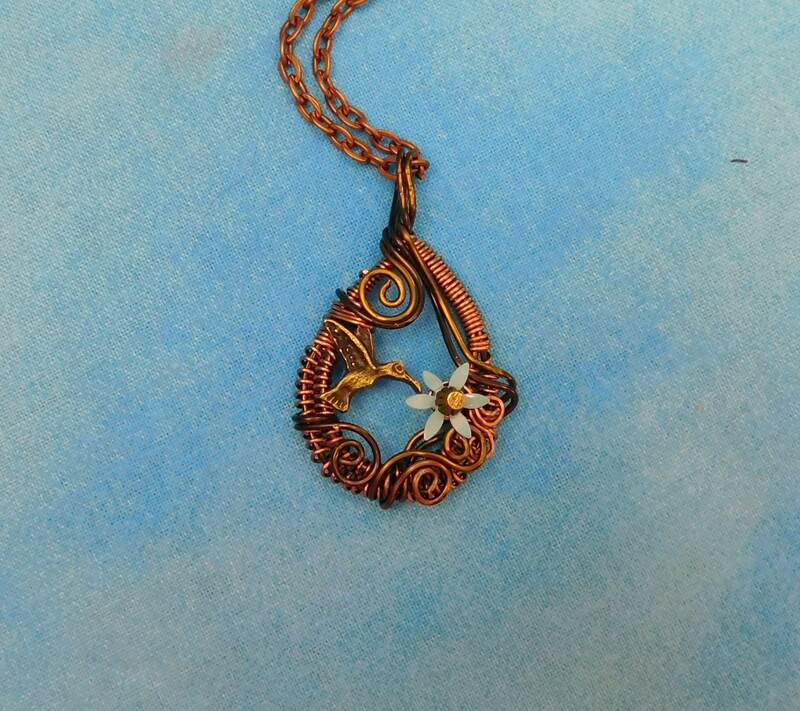 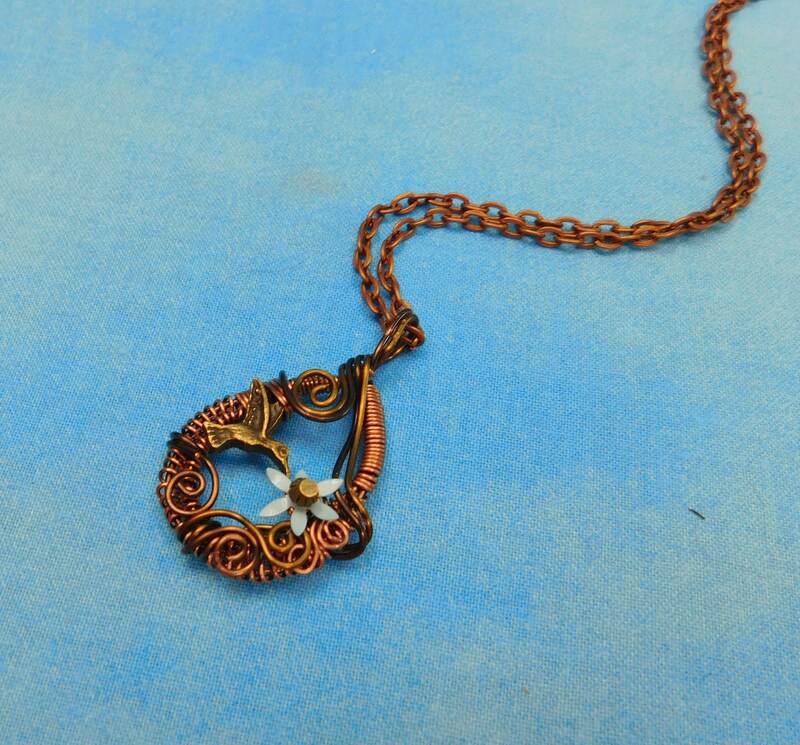 Strands of non tarnish copper wire are hand woven and sculpted, incorporating a tiny hummingbird in flight, hovering above a small blue flower. 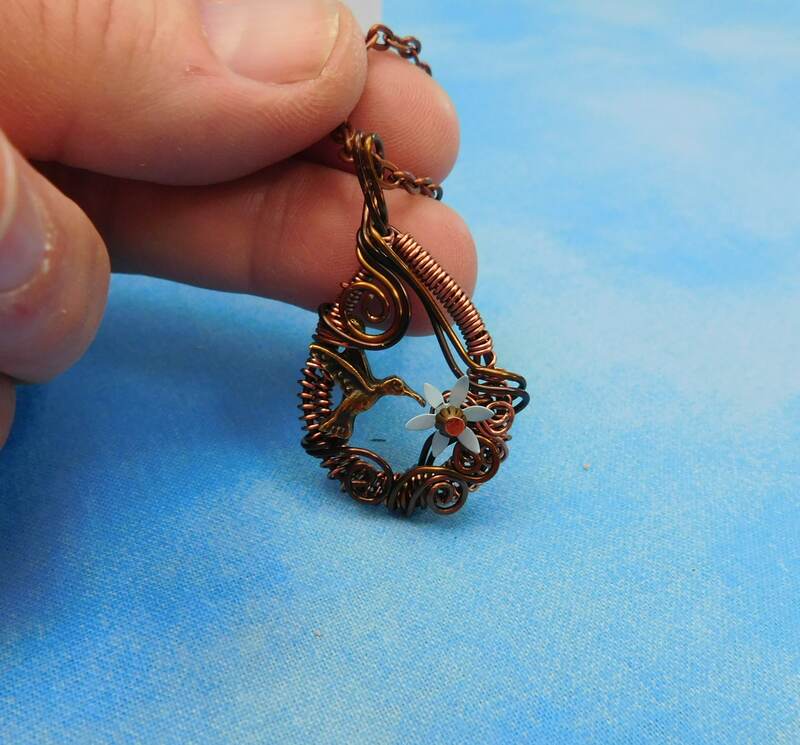 The beautiful, tranquil scene is captured within an artistically woven frame that incorporates only 4 individual strands of wire. 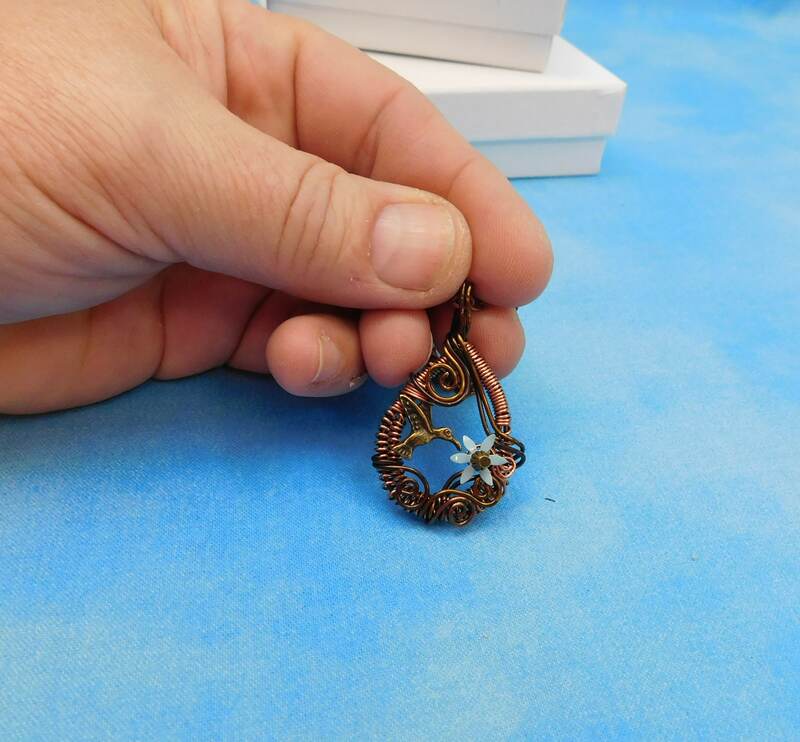 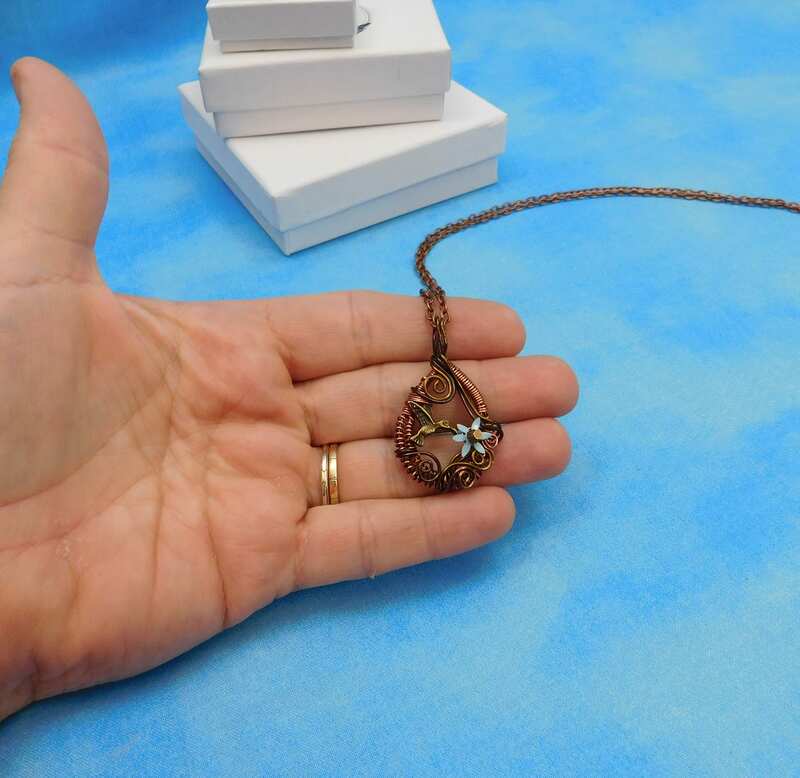 The pendant measures a tiny 1 1/4 inches by 1 inch and comes with a FREE coordinating chain with lobster claw clasp, measured to your preferred length. 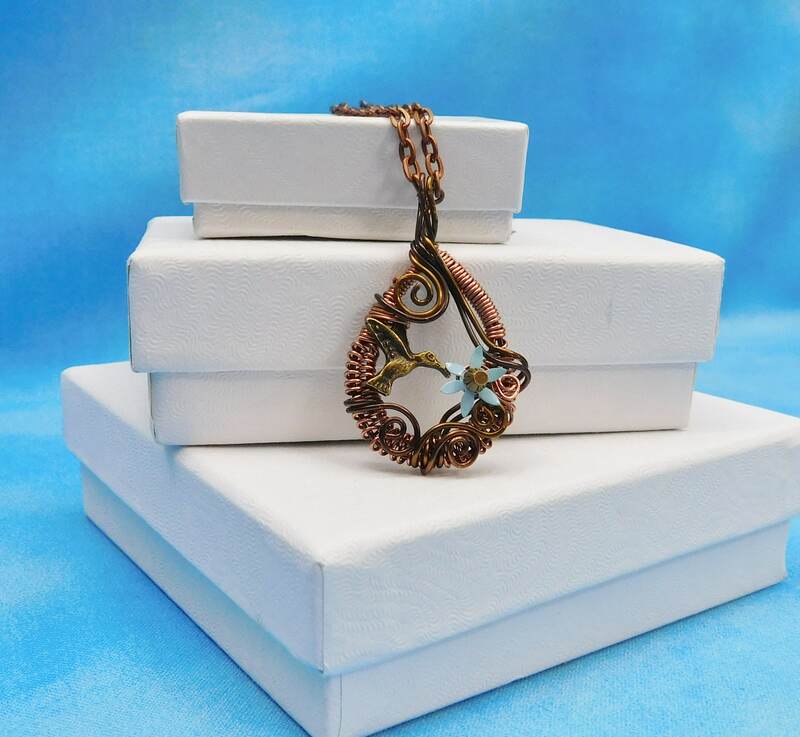 A Perfect gift for any occasion, this wonderful work of art will be a welcome addition to any woman's collection.